WellSpring is pleased to announce the release of a new eBook: Managing Risk and Ensuring Success With a Contract Manufacturing Partner. Any long-term commercial relationship, especially between a drug innovator and its CMO, requires a number of things to remain sound: ongoing dialogue, common expectations, milestones and metrics, responsiveness, secure data access and more. With time, these relational and transactional exchanges build a collaborative bridge that pushes risk out and business success into these highly technical and complex relationships. WellSpring Pharma Services will be attending CPhI North America, on April 24 and 25, 2018 at the Pennsylvania Convention Center in Philadelphia, PA.
Join the epicenter for pharma innovation, emerging trends, insights, and education in North America! CPhI North America is your opportunity to meet the entire pharma eco-system, from early discovery to commercialization, offering you access to the right partners at any stage of development. With over 7,400 attendees and 630+ exhibitors together for three days, this is your chance to network with top industry players, learn about the latest trends and regulations, and effectively do business. 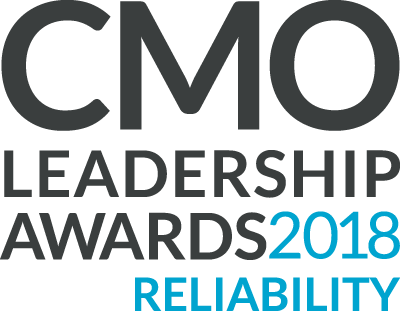 Oakville, ON, January 24, 2018 WellSpring Pharma Services Inc. (WPSI), a leading provider of contract pharmaceutical manufacturing and packaging services announces today we have been awarded two prestigious 2018 CMO Leadership Awards, for “Overall Expertise” and for “Overall Reliability”. The award is being presented by Life Science Leader magazine at the W Hotel in NY on March 21st, 2018. WellSpring Pharma Services continues to expand its ability to manufacture and package solid, semi-solid, and non-sterile liquid products for its growing roster of clients, including adding Serialization capabilities as prescribed by the US Drug Supply Chain Security Act (DSCSA).